"Night School" is the latest vehicle for Kevin Hart, who stars alongside red-hot comedic actress Tiffany Haddish. Haddish hasn't yet worn out her welcome with me, but Hart certainly has. I can't remember the last time I saw him in a live-action role where he wasn't insufferable. Part of the problem is that he's one of those actors who's constantly allowed to improvise his own dialogue, which means he gets to riff and ramble until he decides the scene is over. The result is usually a plodding, painful, unfunny film. But the result this time is a plodding, painful, actually-kind-of-funny film, no thanks to Hart. Hart stars as Teddy, a barbeque huckster who dropped out of high school as a teenager when he decided he didn't need book smarts to get through life. Cut to present day and he's actually very successful. He drives a Porshe, he's in line to inherit his place of business, and he's about to marry the woman of his dreams (Megyn Echikunwoke). But then an accident with a champagne cork and an open gas line derails his plans. He needs a new job fast, and if he wants to get anything decent, he'll have to get his GED. And to do that he'll have to go to, you guessed it, Night School. Night School is a nightmare for Teddy. He has to take classes at his old high school, where a disgruntled former classmate (Taran Killam) is now the principal. The class is full of weirdos, one of whom (Al Madrigal) is a waiter he got fired in a scheme to get out of paying a pricey restaurant bill. And the teacher (Haddish) actually expects him to learn the material instead of letting him cruise through the course like he wants. On top of all that, he suffers from a number of learning disabilities that prevent him getting anywhere academically. Teddy's going to have to use his street smarts to full effect if he wants to get out of doing things the honest way. As you can probably guess, he does eventually learn the value of doing things the honest way. Hart is his usual annoying self in this movie, and Haddish is mostly dragged down to his level, especially in scenes where the two interact with each other (many of which are exchanges where the two were clearly filmed separately). But there is some decent humor in this movie, even in that improvised rambling style that Hart does so badly. That's because there are laughs to be mined from Teddy's classmates, including Madrigal as an immigrant dreamer, Rob Riggle as a dumb wannabe jock, Mary-Lynn Rajskub as a harried mom, and my personal favorite, Romany Malco as a robot-hating conspiracy theorist. These supporting players come up with quirky, interesting characters for themselves, and the movie is actually able to build up some steam when it plays as an ensemble comedy. Hart is usually right there to drain that steam, but it's fun while it lasts. "Night School" gets my recommendation by the skin of its teeth. 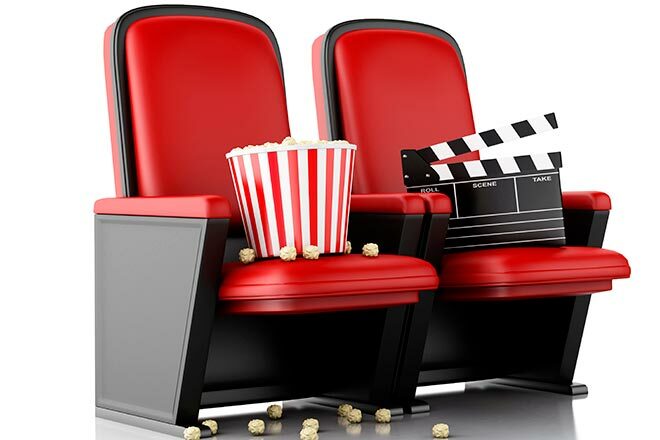 The movie is littered with problems, like Haddish not being that good of a teacher (if literally none of the people in your class understand the material, the problem is with you), entire scenes and subplots that could be cut (Teddy has to get a part time job wearing a chicken suit - ha ha? ), and Kevin Hart basically being Kevin Hart. In fact, I'd even go so far as to say that this is a flat-out bad movie. But it's a bad movie that I liked, and therefore I have no choice but to say that you might like it too. 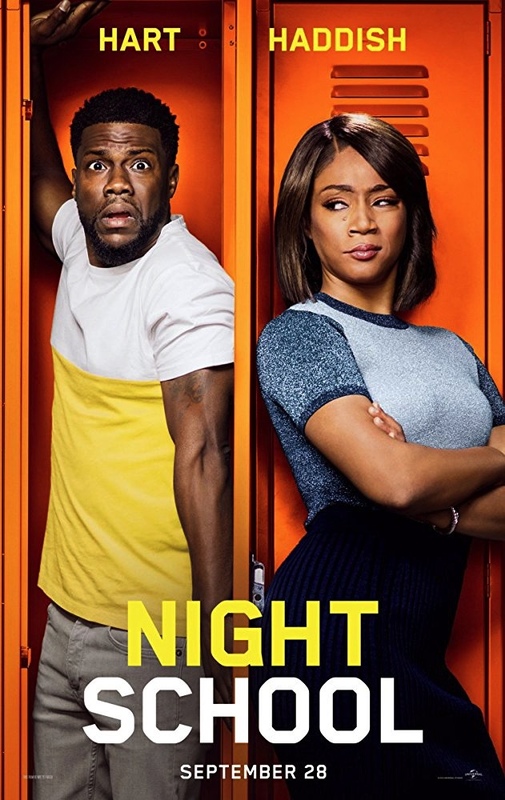 "Night School" is rated PG-13 for crude and sexual content throughout, language, some drug references, and violence. Its running time is 111 minutes.